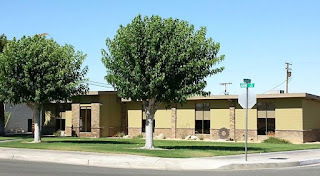 Senior Center, 6539 Adobe Road in Twentynine Palms, across from the Fire Station and MBTA Transit Center. Open 9 to 5 Monday thru Friday. In extreme heat, the center may stay open evenings and Sat. or Sun., and has a generator in case of power outages. Water available; no food service night or weekends. No pets allowed inside. Assistance: Senior Center 760-367-5780, MBTA bus 760-366-2395, Palms-N-Paws Animal Shelter 760-367-0157. Remember: Drink plenty of fluids (water, not sugary drinks), wear lightweight clothing, limit outdoor activities to early morning or evening hours, and check on family, friends, and neighbors during extremely hot weather to make sure they are safe and comfortable. Stay safe! Hi-Desert Medical Center, at White Feather Road in Joshua Tree, behind the County Buildings, will once again serve as a “cooling station” for the Morongo Basin in the event of excessive heat or should Southern California Edison experience power outages during the summer. Cooling stations are air-conditioned facilities where local residents may go for temporary relief from extreme heat. The cooling station at Hi-Desert Medical Center is in the cafeteria of the main hospital, from 10 a.m. to 6 p.m. Pets are not allowed (service animals are permitted). Tips on keeping pets safe when it's hot.